"Knight of Nobility" Wall Mounted Sculpture / Wall Art | BUDK.com - Knives & Swords At The Lowest Prices! Pay homage to the chivalrous knights of old while adding a bit of medieval charm to your home or office with the stately "Knight of Nobility" Wall Art. Molded from tough cold cast resin, this handsome wall mounted sculpture boasts exquisite attention to detail and top quality craftsmanship. It depicts a realistic three dimensional bust of the iconic European Middle Ages "knight in shining armor." Painstakingly hand painted to accentuate the myriad fine details, the striking piece is finished in varying shades of metallic gray, yielding a simulated patina that mimics real-world wear and aging. 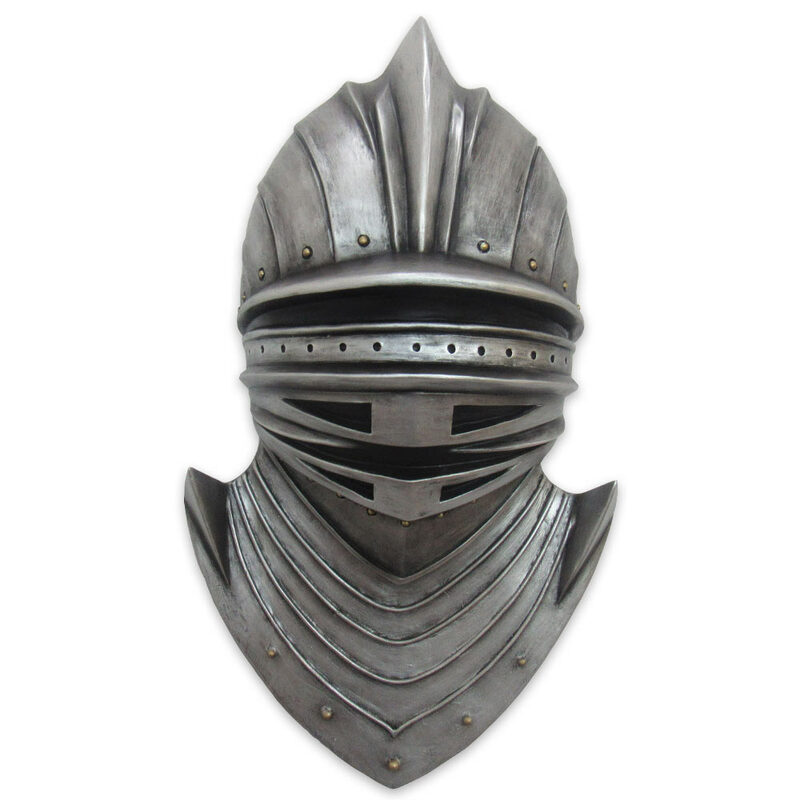 At 15" high, it's impressively life sized and adds a distinctive feudal flair to hobby rooms, Middle Ages/historical collections, antique armor/weaponry collections, man caves, bars, offices, living rooms, dining rooms or practically any other space in your home or business. "Knight of Nobility" Wall Art also makes a fantastic gift for history buffs, Middle Ages re-enactors, medieval weaponry collectors, fans of high fantasy genres or anyone who simply appreciates careful craftsmanship and outstanding art and/or decor. Includes mounting hardware and easy-to-follow instructions.